Lockout & tagout products are for energy isolation for human safety. lockout and tagout produts are now compulsory products in all type of industries like- construction, cement, automobile, steel, paper, pharma, coal, textile. 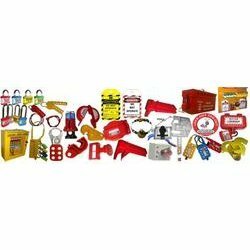 Lockout and tagout products are mainly used in maintenance of production lines, plant and equipments to avoid any accident. Looking for Loto Products Lockout & Tagout ?